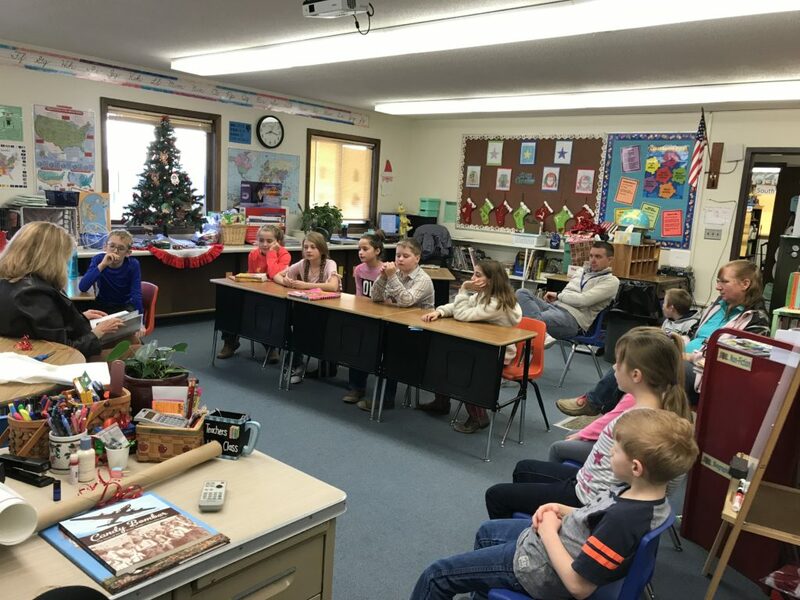 In December, I went to one of our local* rural schools on the prairies to read some stories. 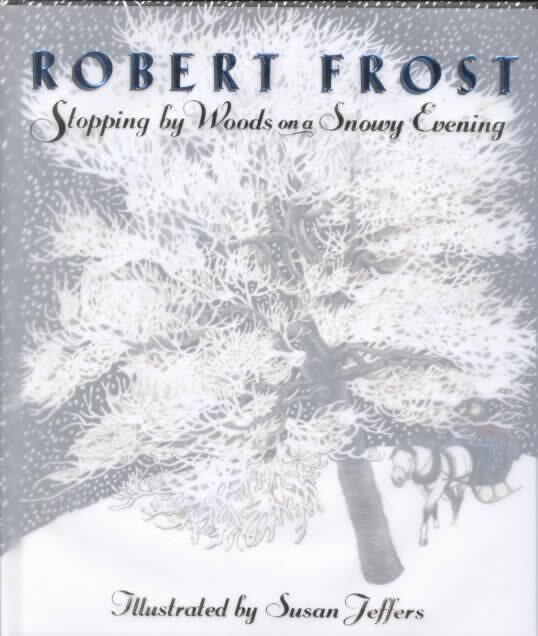 One book, which I took, was a gorgeous version of Robert Frost’s famed poem, “Stopping by the Woods on a Snowy Evening,” illustrated by Susan Jeffers. 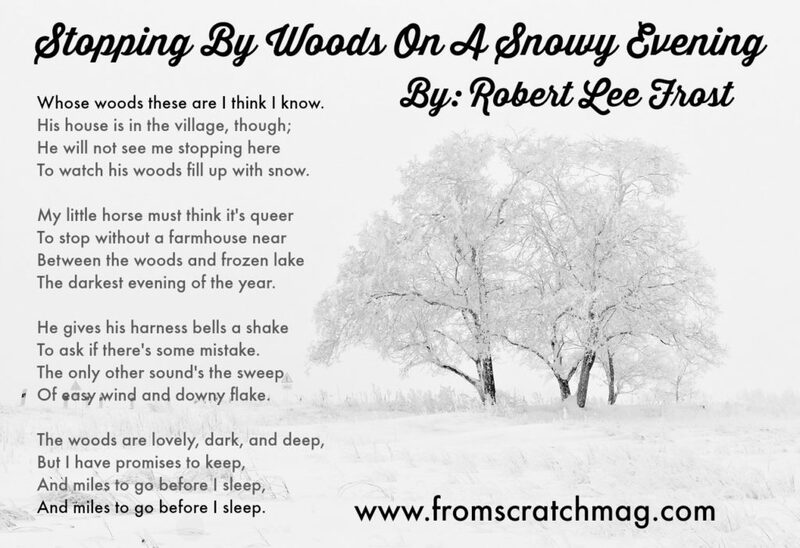 I had purposely selected a poem to read, as I had been so moved by the poetry, which the students had written in November in their monthly student-written and student-published newsletter, Prairie School Post. 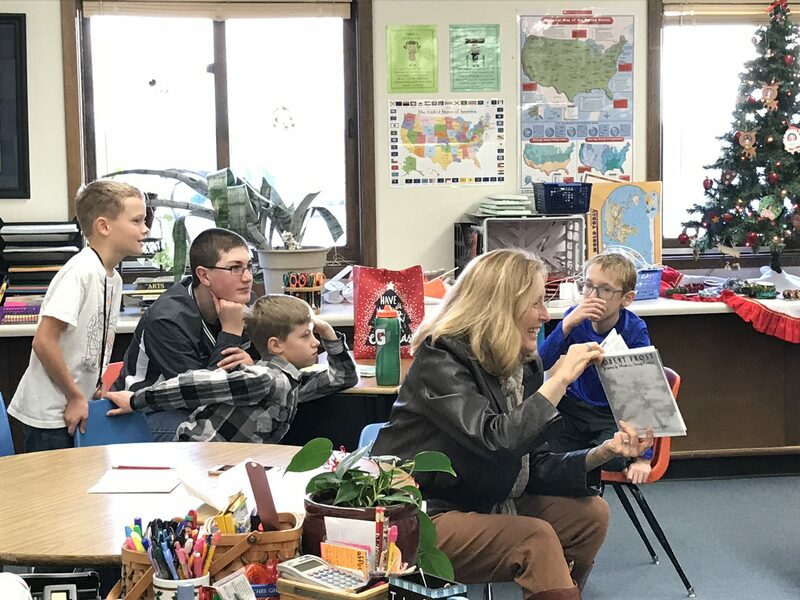 It is only a matter of time before I begin sharing some of these treasured newsletters which evolved when the teacher, Missy Urbaniak, read my copies of Arizona’s Sister Bourne books and learned of an earlier student-created newsletter, Little Cowpuncher. “Robert Frost? 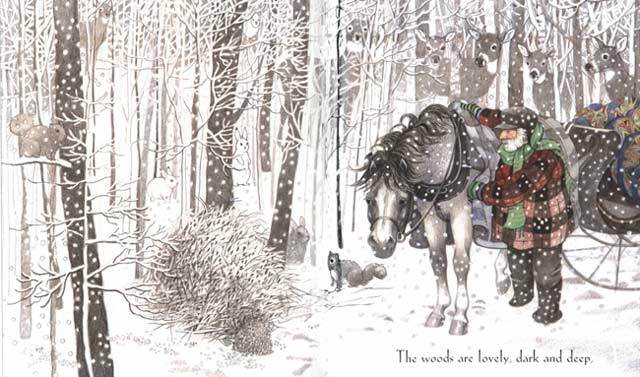 Is he anything like Jack Frost?” one little guy asked, just as I was ready to read the gorgeous book. However, it was December on the cold SD northern plains, so his comment was not totally out of context. 14 precious kids attend this rural school.